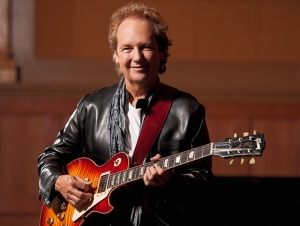 Buffalo State’s Performing Arts Center is proud to present renowned jazz guitar legend Lee Ritenour on Friday, October 26, at 8:00 p.m. Since his early recordings in the 1970s, Ritenour has earned a Grammy Award, 19 Grammy nominations, and numerous other awards. He has recorded more than 40 albums that have yielded 35 chart songs. He also was a founding member of Fourplay, which many consider the most successful contemporary jazz group. From rock to blues to jazz, Ritenour’s diverse playing became the foundation of sessions with many legendary artists, including Pink Floyd, Aretha Franklin, Steely Dan, Sonny Rollins, B.B. King, Dizzy Gillespie, Sonny Rollins, Ray Charles, Frank Sinatra, Simon and Garfunkel, and Barbara Streisand to name a few. In addition, many great talents have collaborated with him, including Phil Collins, Chaka Kahn, and Herbie Hancock. Ritenour celebrated five decades as a guitarist in 2010 with the release of 6 String Theory, which features Steve Lukather, Neal Schon, John Scofield, Slash, Mike Stern, George Benson, and B.B. King. And in 2016, Concord Records released The Vinyl LP Collection: a limited-edition, individually numbered box set celebrating a key period in Ritenour’s prolific solo career. 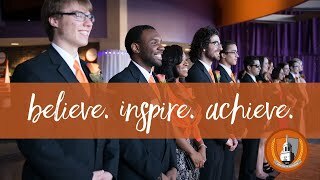 Tickets go on sale Friday, September 7, at 9:00 a.m., and can be purchased at Performing Arts Center Box Office in Rockwell Hall, 1300 Elmwood Avenue, Monday through Friday, 9:00 a.m. to 5:00 p.m. as well as online at buffalostatepac.org or by calling (716) 878-3005. Tickets are $40 for lower tier and $35 for upper tier, with discounts for seniors and Buffalo State faculty and staff. Students can purchase tickets for $15 one hour before show time, based on availability.